Sarah Kiely, Sadie's Kitchen will speak at the Agri Careers Expo in the Careers Development Hub in a Q&A with Irish Farmers Journal's Lorcan Allen. 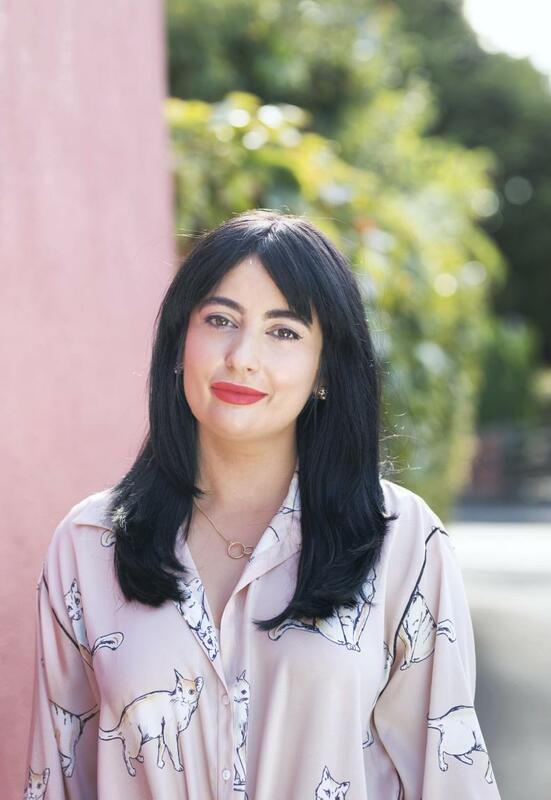 Dublin woman Sarah Kiely made her career in marketing, so establishing any business, not to mind a food business, was far from her mind. Then, like it so often does, fate intervened and without warning Sarah was made redundant and lost her job. But that saying, ‘necessity is the mother of invention’, certainly applied to Sarah. “I had been making bone broth to help with digestive issues and it made me feel so much better. I was talking to my parents about it and they reminded me that I had been reared on it as my grandmother made broths all the time. Home was where Sarah developed a love and understanding of cooking. Sarah lost her job in the summer of 2015 and, instead of looking for another, thought she’d explore her bone broth idea. She knew freelancing would give her bread and butter money to live on. And she wanted to explore her idea before children and a mortgage arrived. So, with the support of her partner, she planned to give it six months and if it didn’t work go looking for a job. So no pressure then. She didn’t waste time. That summer she started developing her product and brand, located a commercial kitchen, did all her training and in the summer of 2016 launched her Comforting Chicken Bone Broth into SuperValu where she received good mentorship and shelf space. Sarah was flat out working with butcher shops, health food stores, online sales and grocers, so she outsourced making the bone broth to a trusted manufacturer. That way she could concentrate on all the other aspects of the business. All this was done within 11 months of being made redundant. What also mattered to Sarah was a strong provenance for her broth – being Irish and free-range mattered. Sarah braved Dragons Den in April 2017 and succeeded in having Alison Cowzer invest €50,000 for 20% of the business. Sarah also received support from Enterprise Ireland and is considering applying for the High Potential Start-up fund while plans for further investment are in train. Key developments since 2017 include being listed in 300 stores, expanding the range to include the Super 7 Greens, made with seven different green vegetables, flax and Irish chicken bone broth. She had a successful launch of the Grow with Aldi programme and has small listings in the UK including Selfridges. She’s now looking beyond the UK to northern Europe in order to Brexit-proof the business. But while success tastes sweet, the journey to building a solid brand has been tough. “It’s so hard. I have friends who started around the same time and they have closed their doors. You get to a point with a small business where you can’t scale it anymore. It’s a compromise on your time, on your quality of life. She says start-ups need to be realistic, well researched, focused and goal led. You need to have access to good advice and lean on the supports that are there. Even with all this you have to go with your gut instinct. “Most entrepreneurs have a clear idea of what they want to do but they must convince the world that their product or service deserves a place in it. Enter competitions and do courses, they will help keep you on track. But despite all the drawbacks, Sarah wouldn’t change a thing. Her ambition is to make her broths the broth brand of Ireland and with Ireland conquered, the world is waiting.